This week's new homes on the Market! 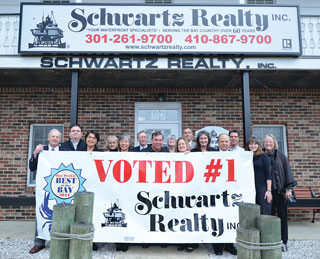 Serving the Bay Country for over 65 years! One of Washingtonian Magazines "Best Places to Live", Deale Maryland is a jewel in the Washington, Baltimore and Annapolis metro area. Nestled along the western banks of the Chesapeake Bay, Deale and its surrounding communities in southern Anne Arundel and Calvert Counties offer a lifestyle that is relaxed, natural and affordable; qualities that are rare in such close proximity to major metropolitan areas. Let your search for a real estate professional end here. Our office of qualified real estate professionals are ready to assist you with any of your real estate needs. Our local home- town approach is customized for each client. Best of the Bay Award- now 5 years in a row!